This walk is beautiful as it is very diverse. Most spectacular are the gorgeous views over the valley. The walk was very doable for inexperienced hikers and very easy to follow because of the signs. Only downside is that Gomshall doesn't have good transport links. Busses go once an hour and there are only a few trains. Well worth it though! This was a great walk. 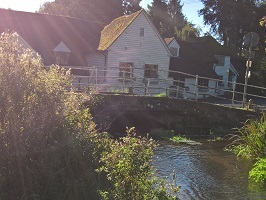 At the end you'll find Gomshall Mill which is a fascinating building, with the old millrace (stream) running through the middle of it and two old water wheels. Really enjoyed this walk. I travelled by train & so started at Dorking West, you will need to start from deepdene if you travel by car as there is a car park. The route was very easy to follow as it was marked by 'walk the chalk' green arrows throughout. I completed the entire walk without needing to look at an OS map. Stunning views along the route & varied scenery too. Some steep ascents & descents but they are very short, there are many benches along the route to stop for a rest but I would recommend one of the pubs in Gomshall for a drink at the end. It is very rare that I rate anything 5/5 stars, but this walk was truly exceptional: one of the best i have been on. The countryside has an incredible picturesque beauty. The walk meanders through a perfect variety of landscapes: grasslands, woods of all sorts with varied tree species, active pastures (at one point i had to sidestep the path as a cow was laying down on it), fields of crops, by railways, old estates, and picturesquely decayed (yet still accessible) pillbox fortifications from WWII. 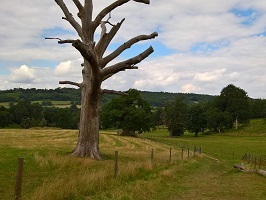 The many vistas of the Surrey hills along the walk are a pure joy. The slopes are generally fairly gentle and I, in my late 30s and in relatively decent health, found the walk quite comfortable. My only recommendation would be that if you are starting out from Dorking, you could skip the legs of the walk from the main train station and start from Dorking West train station; it might be faster and you would only cut out portions of the walk along the highway and through suburban residential streets. This walk is what i was looking for coming to Surrey (from Canada). It seemed to me an excellent cross section through the calming British countryside. It has made me want to come back and attempt a longer, multi-day hike on the much longer North Downs Way (part of this chalk walk is along a segment of the North Downs Way). This station to station walk takes you along the dramatic scarp slope of the North Downs, through some of the finest chalk grassland in Surrey. 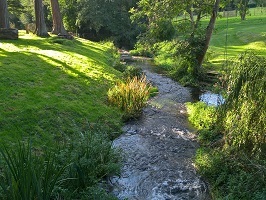 The scenery is spectacular and the area rich in wildlife. The views are outstanding – viewpoints along the North Downs were strategically important during the Second World War, which is why so many pillboxes were built here. 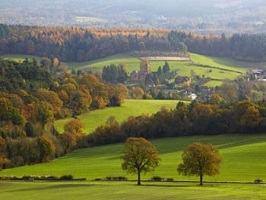 Much of the area has been designated as a Site of Special Scientific Interest in recognition of this special habitat and the walk lies within the Surrey Hills Area of Outstanding Natural Beauty. Click here to download the leaflet and route description.